The project aims to demonstrate the feasibility of a super-resolution algorithm based on self-similarities analyzed at a single lower scale. 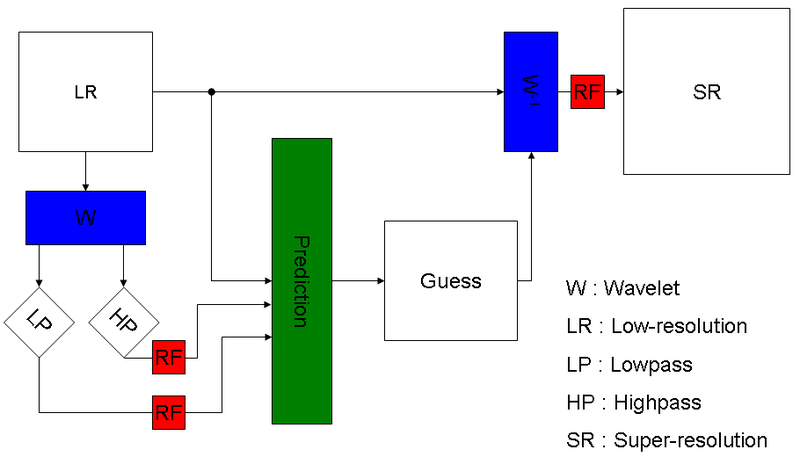 The lower scale analysis is performed with the help of quincunx wavelet which has a smaller scaling factor. The quincunx layout has been decomposed in fundamental operations. Then, the rotation operator has been split in 3 shears which have been expressed as one-dimensional translations. The translations have been performed in Fourier domain as a phase modulation. Self-similarities in the lower scale determined the details to be simulated before amplification. The method of details simulation was based on the separation of the original image into an overall part (lowpass) and into details (highpass) during the wavelet analysis. The similarities detected between the low-resolution and the lowpass images define the details which have to be extracted from the highpass for the guess construction. The guess corresponds to the missing details of the low-resolution image. Diverse methods to build the guess have been tried and compared. 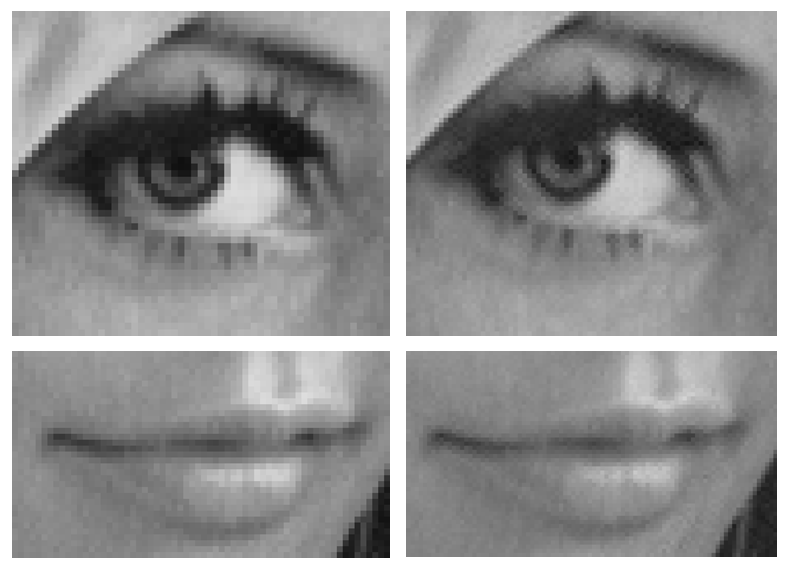 The original and the guess images were passed to an inverse wavelet reconstruction for the magnification process. The reconstruction performances proved a good capability to magnify images using this image processing.